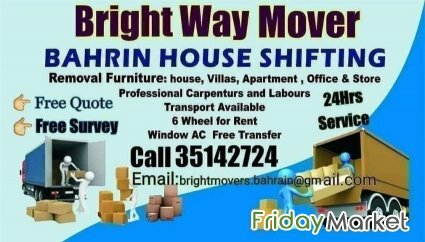 and MOVING anywhere in the Kingdom of Bahrain. accurate and with 100% satisfaction. All Household and office goods shifting. we have six wheel and different professionals like AC technician, Carpenter etc.